Add Salt and Keep it for fermentation for 6 hours. After 6 hrs,add 2 tbsp curd. Heat oil and ghee and add pepper powder and jeera powder and kadhipatha and mix them with the thick paste. Add 1 tsp shunti powder. Take a flat vessel grease oil and apply the batter and steam for 20 min in medium flame. u can make in idli stand too. 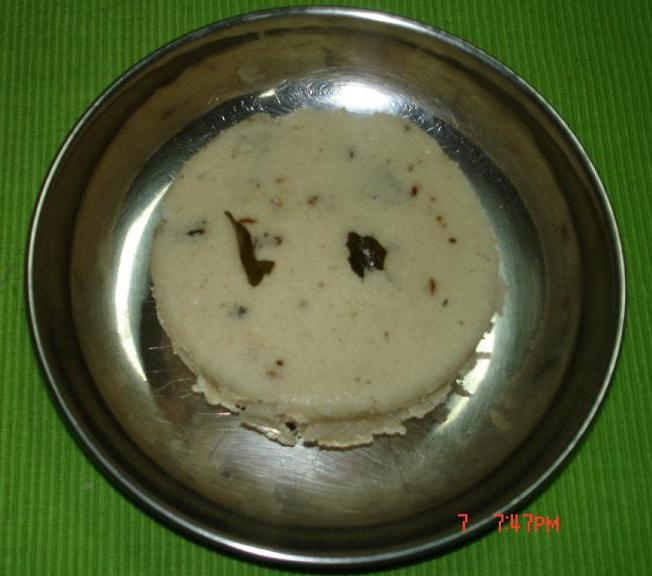 i will surely attach the kanchipuram idli photo soon. Can this be made in the idli stand? this is a good recipe but the picture going with it is a fish. please try to rectify this .for a vegetarian dish and after mentioning kovil prasadam it is not pleasant to this fish picture.